To this all one may say is it is never too late to learn. Do you know that we owe our stern forestry plantation system in India to German foresters who first organized and instituted the forest department and its policies in India and Burma in the mid-19th century because Britain had no tradition of “scientific forestry” in the nineteenth century? France and Germany did but not Britain. It’s a very insightful introduction to say the least here. Reading this book so lovingly written and with such keen observation that it makes one constantly feel and think that trees are just like us. Better than us really for there is no evil in them! There’re lots of lessons we human of the species could learn from the world of trees if only we were more sensitive to Mother Earth and how many of our misdemeanors she tolerates under duress. Teach your children to plant trees and have a warm understanding relationship with them and they will have a lifelong, rewarding friendship always at hand. After just an initial reading of the book one knows that this one is for keeps, to return to again and again. If one may be so lucky as Peter Wohlleben or Pradip Krishen to share such friendships with trees like they so obviously do! 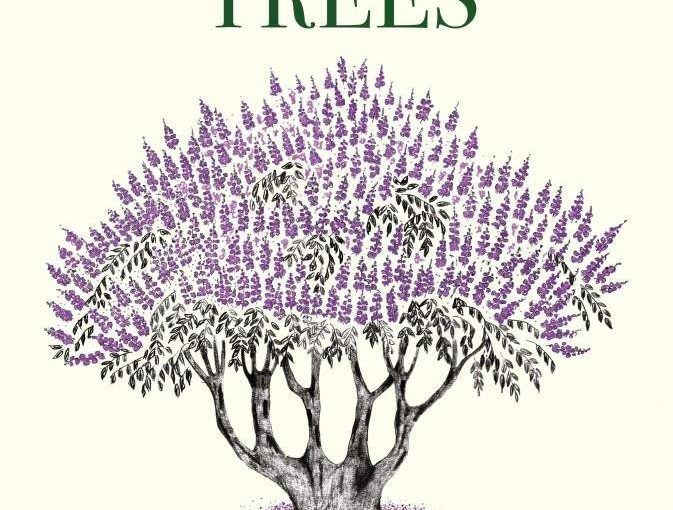 So here’s a book to fall in love with trees for the first time or for the umpteenth and forever after time. Do get a copy for a refreshing read and share it with whoever expresses an interest in reading it! Excerpted from ‘The Hidden Life of Trees’: YOURS OR MINE? The forest ecosystem is held in a delicate balance. Every being has its niche and is function, which contribute to the wellbeing of all. Nature is often described like that, or something along those lines: however, that is, unfortunately, false. For out there under the trees, the law of the jungle rules. Every species wants to survive, and each takes form the others what it needs. All are basically ruthless, and the only reason everything doesn’t collapse is because there re safeguards against those who demand more than their due. And one final limitation is an organism’s own genetics: an organism that is too greedy and takes too much without giving anything in return destroys what it needs for life and dies out. Most species, therefore, have developed innate behaviours that protect the forest from over-exploitation. We are already familiar with a good example, and that is the jay that eats acorns and beechnuts but buries a multitude of them as it does so, ensuring that the trees can multiply more efficiently with it than without it. Whenever you walk through a tall, dark forest, you are walking down the aisles of a huge grocery store. It is filled with all sorts of delicacies – at least as far as animals, fungi, and bacteria are concerned. A single tree contains millions of calories in the form of sugar, cellulose, lignin, and other carbohydrates. It also contains water and valuable minerals. Did I say a grocery store? A better description would be a heavily guarded warehouse, for there is no question here of just helping yourself. The door is barred, the bark thick, and you must come up with a plan to get to the sweet treasures inside. And you are a woodpecker. Thanks to a unique structure that allows its beak to flex and head muscles that absorb impact, a woodpecker can hack away at trees without getting a headache. In the spring, when water is shooting up through the trees, streaming up to the buds, and delivering delicious provisions, several species of woodpeckers called sapsuckers drill dotted lines of small holes in the thinner trunks or branches. The trees begin to bleed out of these wounds. Tree blood doesn’t look very dramatic – it looks a lot like water – however, the loss of this bodily fluid is as detrimental to the trees as it is to us. This fluid is what these sap-sucking woodpeckers are after, and they begin ot lick it up. The trees usually mostly tolerate the damage, as long as the woodpeckers don’t get carried away and make too many of these holes. Eventually, the holes heal over, leaving patterns that look like intentionally decorative scarring.